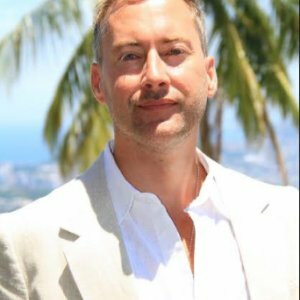 A self-described financial freedom fighter, Jeff Berwick founded Canada's largest financial website, Stockhouse.com, in 1994. The company expanded worldwide into 8 different countries and had a market capitalization of $240 million USD at the peak of the tech bubble. He was the CEO from 1994 until 2002 when he sold the company and still continued on as a director afterwards until 2007. Stockhouse.com was and still is used by nearly a million investors. After Stockhouse, Berwick went forth to travel the world by sailboat but after one year of sailing his boat sank in a storm off the coast of El Salvador. After being saved clinging to his surfboard with nothing but a pair of surfing shorts left of his material possessions he decided to travel the world as spontaneously as possible with one overarching goal: See and understand the world with his own eyes, not through the lens of the media. During this time he met and spoke with a plethora of amazing people, from self-made billionaires to some of the brightest minds in finance - as well as entrepreneurs running street noodle carts in Shanghai and Tacos Al Pastor stalls in the smallest of towns in Mexico. He also read everything he could find on how the world really works politically and financially - a pursuit he continues to this day. He is now the founder and Chief Editor of The Dollar Vigilante, a free-market financial newsletter with its groundings in Austrian economics.